Do you love the feeling of being part of something bigger than yourself – contributing to something that makes the world better? At Trinity Vineyard, we know that feeling! People like you are the engine that keeps us going. Whether providing leadership over one of our events, helping set up for our services on a Sunday morning, doing administrative work during the week or serving in any number of other capacities, the time and energy of committed individuals allows us to make a positive impact on our church family, our community and our world. To get started, check out the service opportunities below and let us know what area sparks your interest! Our Sunday Crew is an essential part of our weekend services and a great opportunity to jump into the life of our church. Our Sunday Crew service opportunities are many and varied. Contact us if you are interested in joining the crew! We can take the party anywhere, but not without drivers to pull our trailers and mechanics to keep our equipment in good shape! One of the most-requested items in our Trinity Party Squad lineup is the bounce house. While the bounce house is easy to set up, it does require a little bit of know-how and training in order to ensure the safety of the kids who will be using it. If you are available to occasionally deliver and setup the bounce house in a nearby neighborhood, we would to have you on the team. (Please note that the bounce house is in a small trailer that can be pulled by any car, truck, van or SUV with a hitch.) Please EMAIL US for more info about this team. Help us keep the party rolling by lending your elbow grease to ongoing maintenance and repairs of our party trailers. No experience necessary. Just a willingness to get a little grime under your fingernails. Please EMAIL US for more info about this team. Every good party has party supplies! Help us stay stocked and ready to roll at a moment’s notice. Each time one of our trailers comes home from a party, someone has to open it up, check the inventory of supplies, make sure everything is in it’s proper place and notify us of any noticeable maintenance or repair items. If you’re the kind of person that enjoys keeping things organized, please EMAIL US for more info about this team. We’re always on the lookout for people who know how to throw a party! Whether you’re a behind-the-scenes person or a life-of-the-party person, we’ve got a role for you. At most Trinity Party Squad events, you’ll find food, games and lots of fun. In order to serve that food, to facilitate those games and to cheer on that fun, it takes passionate people will to be servers, hosts and MCs. If you are outgoing, know how to smile while dishing up a plate of food or if you’re comfortable with a microphone in your hand, you’re the person we’re looking for. Please EMAIL US for more info about this team. As part of our ongoing commitment to the far, Trinity Vineyard has planted a new church in Nakuru, Kenya. Our goal is to gather people into a community where they can find friends, find God and, ultimately, find the life that God has wired them to live. Nakuru is a perfect place for this kind of church. 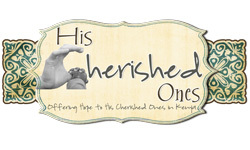 His Cherished OnesHis Cherished Ones, Inc was established in 2009 for the purpose of sharing God’s love with those in great need of the unconditional love of a Heavenly Father. Current projects include Haven of Hope Baby House, Furaha single mother’s project and a Teen Boys Home. For more information about how you can partner with HCO, visit the His Cherished Ones website. Through an interdenominational national network of churches, which regularly conduct the Alpha course, Christians are sharing their life changing experiences with inmates in our nations prisons and jails. Here in Houston, the work of Alpha in Prisons is making a significant impact in county and state prisons. 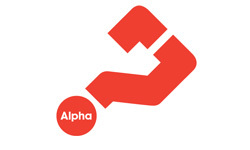 For more information about the Alpha in Prisons program, visit the Alpha USA website. To get involved, email Marleah Baird, Trinity member and Prison Director for Alpha Houston.